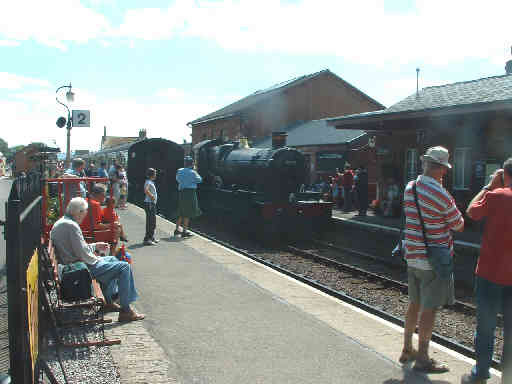 The Steam Fayre and Rally takes place at Bishops Lydeard where this busy scene was taken as 7820 Dinmore Manor was running round her train before returning to Minehead. 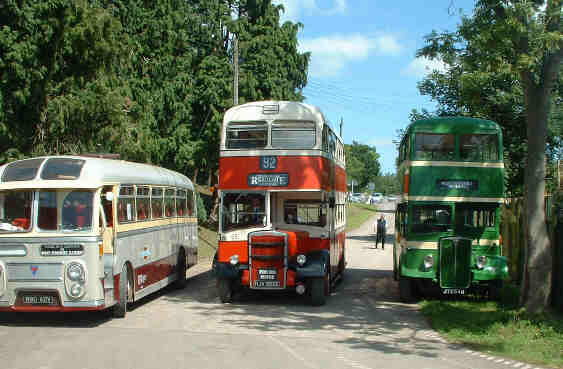 A bus service linking Taunton, Bishops Lydeard station and the Rally field was provided by Quantock Heritage, whose heritage buses help complete the atmosphere of the event, three of the fleet are seen here at Bishops Lydeard. 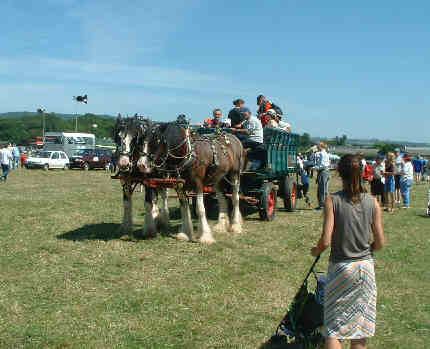 A different era of bus was represented by this horse bus drawn by a pair of Clydesdales giving rides around the Rally field. 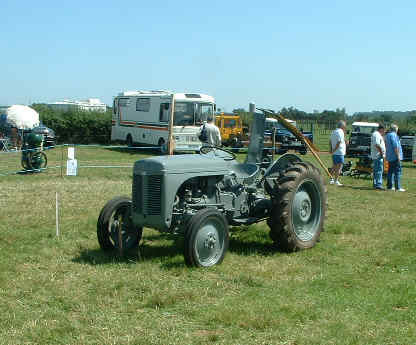 Among the exhibits was this example of Harry Ferguson's genius, a "little grey Fergie" tractor of the sort that revolutionised agriculture largely thanks to one simple feature - the three point linkage that made attaching implements so easy. 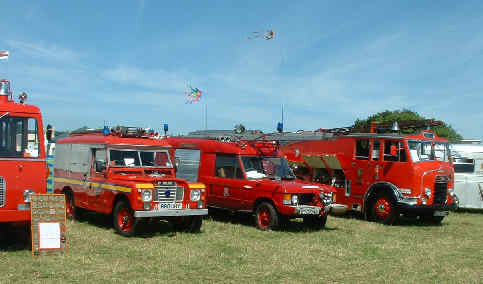 In another part of the field were several restored fire engines including this sample. 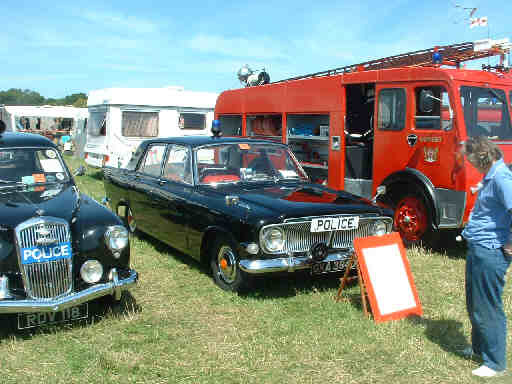 Next to the fire engines were some old police cars, this one is a "genuine Z car", a Ford Zephyr that saw service in Liverpool. The weather was so hot and the real ale so refreshing that this is all the photos I took of the event this year !